China is no stranger to massive engineering projects, and the most recent addition to its roster of landscape-reshaping solutions is a recent plan by a city-level institute to divert water from Siberia hundreds of kilometers south to Lanzhou, capital of Northwest China's Gansu Province, to quench the region's desperate thirst. 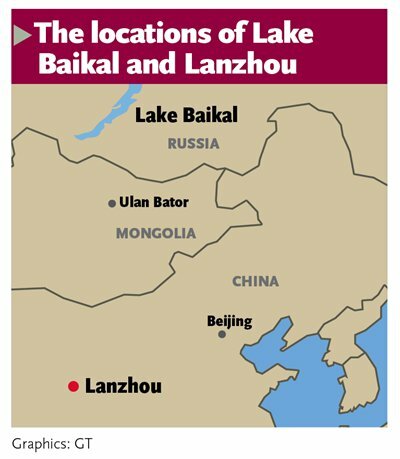 The Lanzhou Urban & Rural Planning and Design Institute, affiliated to Lanzhou's urban planning authorities, has proposed diverting water from Lake Baikal, the largest freshwater lake in the world by volume, to relieve Lanzhou's water crisis, according to a scheme entitled "Vision for Urban Planning 2030" which was released in February. According to the scheme, a pipeline starting from the southwest point of Lake Baikal, stretching some 1,000 kilometers, will be able to divert pure water from the deepest lake in the world to Lanzhou through the Hexi corridor, a narrow east-west route that runs for 1,000 kilometers between the Tibetan Plateau and the dunes of the Gobi Desert, the Xinhua News Agency reported. The plan, however, met controversy after it was announced, with many questioning the feasibility of the massive project that would involve Russia, Mongolia and China. In a previous interview with the Global Times, an expert from the institute, who declined to be named, said this is still a preliminary proposal and the institute is waiting for further approval from the local government. "Technology is not a problem. Diplomatic negotiations will depend on the local government," the expert said. The details of the project, published on February 17 via the institute's website, had been deleted when the Global Times tried to access it. A statement on a cached version of the website says that "The pipeline will boost the utilization rate and business prospects of the pastoral Silk Road, improve the ecological environment of Northwest China, and promote Lanzhou's economic growth." Wang Hao, director of the China Institute of Water Resources and Hydropower Research, said the project is worth considering, but its feasibility depends on a variety of factors including the cost of the pipeline, political and diplomatic issues and the ecological impact on Lake Baikal. "It would also depend on what the water is used for. If it's used for irrigation, then I would say it's probably not worth it. 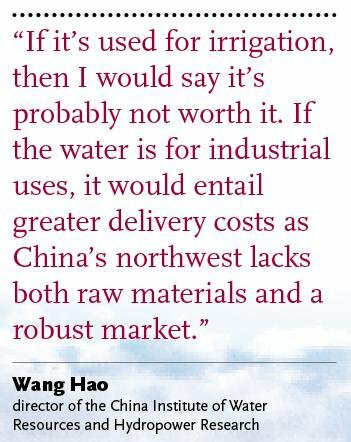 If the water is for industrial uses, it would entail greater delivery costs as China's northwest lacks both raw materials and a robust market. So it's really too early to judge now," Wang told the Global Times. The Lanzhou institute has not detailed for what specific purposes the diverted water would likely be used. Shi Weixin, chief designer of China's South to North Water Diversion Project in Beijing - the regional section of a nationwide project to transfer water across the country - also cautioned the Global Times previously that the project's leaders should think about ways to minimize the ecological impact on Lake Baikal. According to the official website of Lake Baikal, the lake is a haven for 1,200 animal species and 600 types of plants, more than half of which are unique to the lake. Supporters of the scheme include Li Luoli, deputy secretary-general of the China Development Institute, a Shenzhen-based think tank that advises the government. In his 2012 book, The North Asia Economic Zone, he listed a range of reasons why the project would be beneficial for China, Russia and Mongolia. He argued that the water diverted from Lake Baikal will just be a small part of the lake's abundant freshwater resources, which at 23,000 cubic kilometers make up one fifth of all fresh water resources in the world. 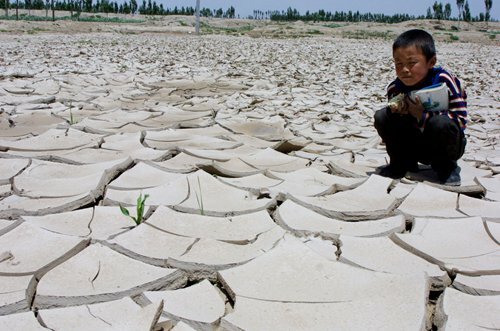 "However, for Mongolia and northern China which have been plagued by water scarcity, it will help improve environmental conditions that have become a bottleneck for economic development," he wrote. Russia, on the other hand, could use this opportunity to develop resource-rich Siberia, and becoming an major exporter of water could strengthen its political and economic standing, Li wrote in his book. The Russian media, so far, has remained silent on the Lanzhou institute's proposal. But last year, when the Russian agriculture minister proposed similar plans to transfer water from Russia's Altai Republic to Xinjiang, it received criticism from environmentalists. "To declare the global plans about the transfer of fresh water to China, without detailed calculations, is total folly," Viktor Danilov-Danilyan, an economist, environmentalist and member of the Russian Academy of Sciences, told the Siberian Times, a Russian newspaper. 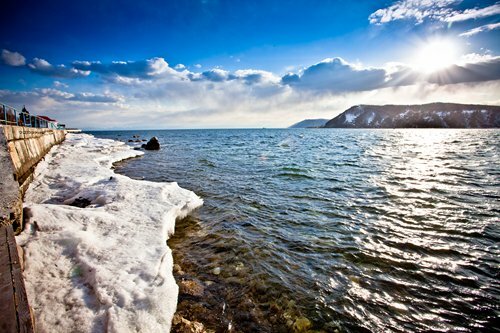 Environmentalists and some Russian officials are also concerned about the water level of Lake Baikal, which has been declining in recent years to 456 meters above sea level, a critical low, a problem particularly caused by dwindling inflows making it into the lake. Residents near the lake have been advised to cut down on their consumption of water and electricity, Russia Today reported. As bold as the scheme may sound, China is no stranger to such massive engineering projects. It is already home to the world's largest water pipeline scheme, the South-North Water Transfer Project, a decades-long project which eventually aims to channel 44.8 billion cubic meters of fresh water from the Yangtze River via three routes to northern areas plagued by serious water shortage. Since the pipelines started operation in December 2013, the eastern and middle route has transferred 7.3 billion cubic meters of water from southern China to northern cities and provinces such as Beijing, Tianjin, Hebei, Henan and Shandong, according to the Office of the South-to-North Water Diversion Project Commission of the State Council. But the West route, which aims to transfer water from the Tongtianhe, Yalongjiang, Daduhe rivers in the southwest to China's arid northwestern regions such as Qinghai, Gansu, Shaanxi provinces and the Inner Mongolia Autonomous Region, is still in the planning stage. Due to the mountainous landscape in the west, the route is considered the most technically challenging one among the three. 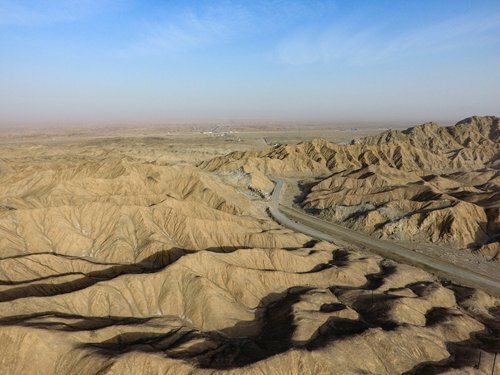 Chinese experts and grass-roots officials have long been thinking about alternative ways to quench China's driest region, the juncture between Gansu Province, the Xinjiang Uyghur Autonomous Region and Inner Mongolia. Total rainfall in Gansu in 2016 was a mere 380 millimeters, 5 percent lower than average in previous years, according to the Northwest Regional Climate Center. In the Gobi Desert near Dunhuang, Gansu's most arid spot, rainfall was a measly 67.7 millimeters in 2016. The lack of water has severely hampered the area's economic development. Gansu, Qinghai, Ningxia and Tibet rank bottom among China's provinces and regions by GDP. Over the years, many people have tried to persuade the authorities that diverting water from Lake Baikal is the best way to relieve the water crisis in Northwest China. In the early 2000s, Bian Hongdeng, a Chinese businessman who owns dozens of mines in Mongolia, Tibet and Inner Mongolia, was one of the first to propose this kind of project. Bian's initial idea was to divert water from several rivers in northern Mongolia, including the Selenga River that flows into Lake Baikal, to arid southern Mongolia and then on to China. The project won the support of Mongolia's government, which was eager to solve the water scarcity problem in its parched south. In 2005, Bian registered a company to advance the project whose shareholders included Mongolia's water management authority. That year, the Mongolian embassy in China held a press conference announcing the project, and Bian said at that event that on top of the project, he was also considering the feasibility of diverting water from Lake Baikal to China. For Bian, it was a business opportunity, plain and simple. "I owned 34 mines in Mongolia, and yet most of them were idle due to a lack of water," he told the Global Times. Bian thought the need for water in Mongolia's mining industry could mean more money in his pocket if the project was successful. And if water could be diverted to southern Mongolia, it would be easy to then divert it one step further to northern China. However, the project was soon turned into a publicity nightmare after the Chinese authorities denied any involvement in the project, showing little interest. On May 25, 2005, Gu Hao, spokesperson then for China's Ministry of Water Resources, denied to Xinhua that there was "any plan to carry out research on a water diversion project from Lake Baikal," adding that China had never held negotiations with any country regarding this kind of project. News about the diversion project was soon listed as one of that year's Top Ten Fake News Stories selected by the Chinese media. Although Bian still thinks it is a great idea, he said he had stopped trying to advance it himself. Although that project failed, Mongolia is still trying to divert water to its south. The Mongolian government has considered building a dam near the Orkhon River, which ultimately flows into Lake Baikal, in order to pump water through a 900-kilometer-long underground pipeline into the country's parched Southern Gobi Region that could totally run out of groundwater in the next 10 years, according to the Mongolian media. Environmental groups, however, are concerned that the pipeline will threaten the ecosystem of Lake Baikal and the rivers involved, including Rivers Without Boundaries, an international NGO that aims to mitigate the impact of harmful infrastructure projects on international rivers.